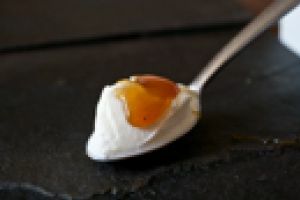 Our Greek yoghurt is thick and creamy. It is made with skimmed milk and strained to get its texture. It is therefore non fat and a great source of protein without the fat. Try it with honey and nuts for a balanced breakfast.